Only 2.5 weeks until our 1st day! Yikes! I'm starting to feel the pressure! Today I'm sharing these fun photo props you can use for those adorable first day of school pics. 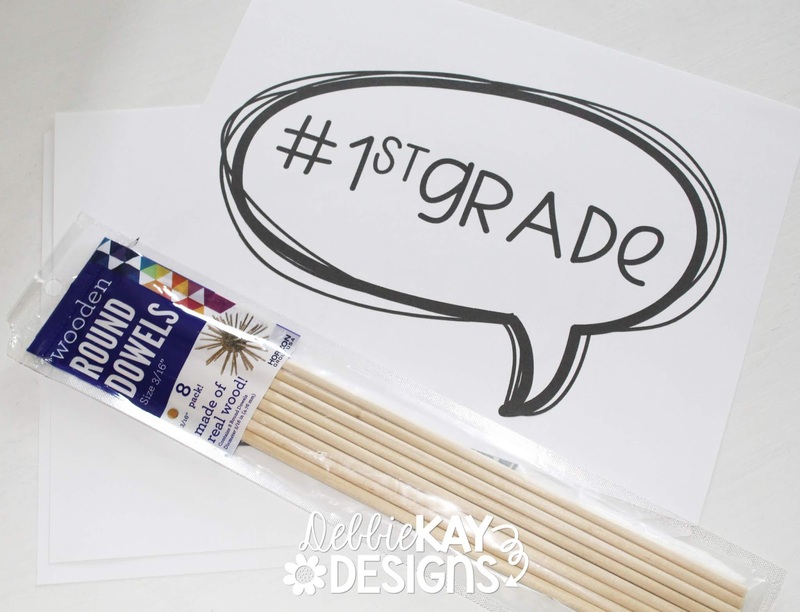 These are new to my store this summer and I can't wait to use them with my students! 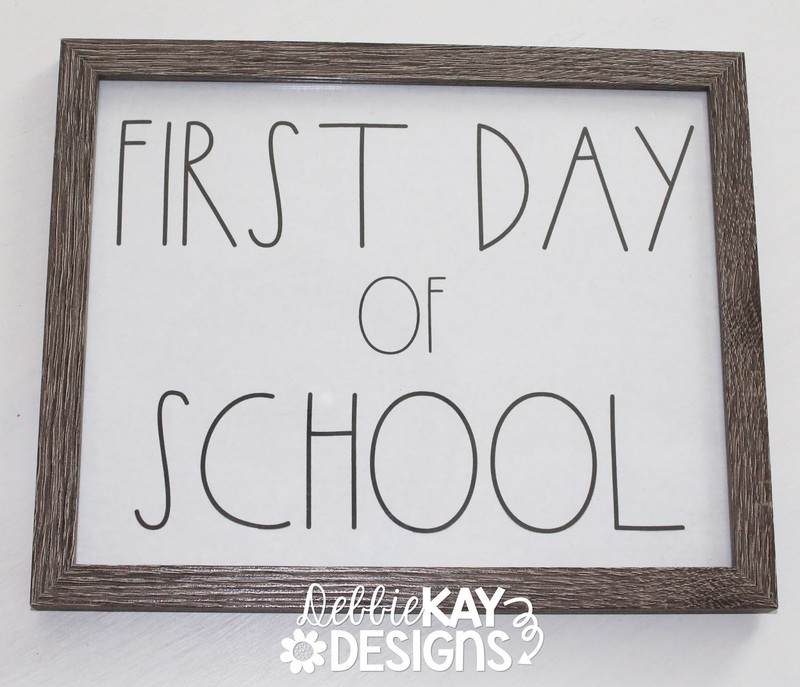 The First Day of School sign is so, so simple to put together. Simply print it out, trim it to 8x10 size, and add a frame. 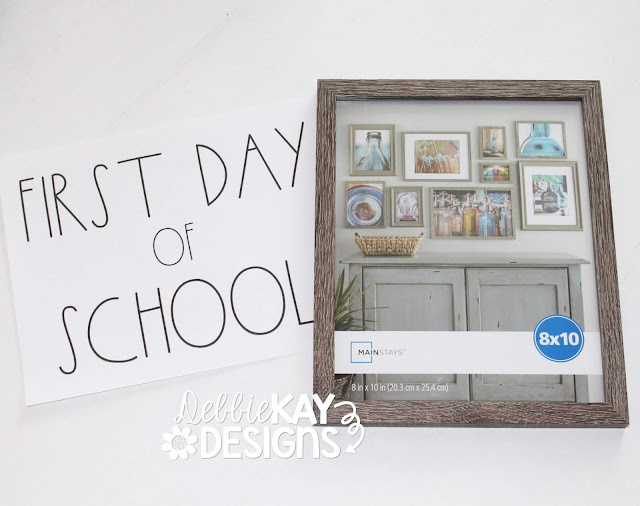 I purchased a super inexpensive frame from Wal-Mart that sort of has that worn wood farmhouse feel. Students can hold these, you can lean them on a chair or stool, or have it in the background right behind them. The speech bubble props are also super quick and easy to put together. Print onto white cardstock. I do NOT recommend laminating because the glare becomes an issue when taking photos in the light. Trim around each speech bubble, leaving a small white border all the way around. I attach mine to some simple wooden dowels, which can be found at any craft supply store (Jo-Ann's, Hobby Lobby, Michaels, maybe even Wal-Mart). 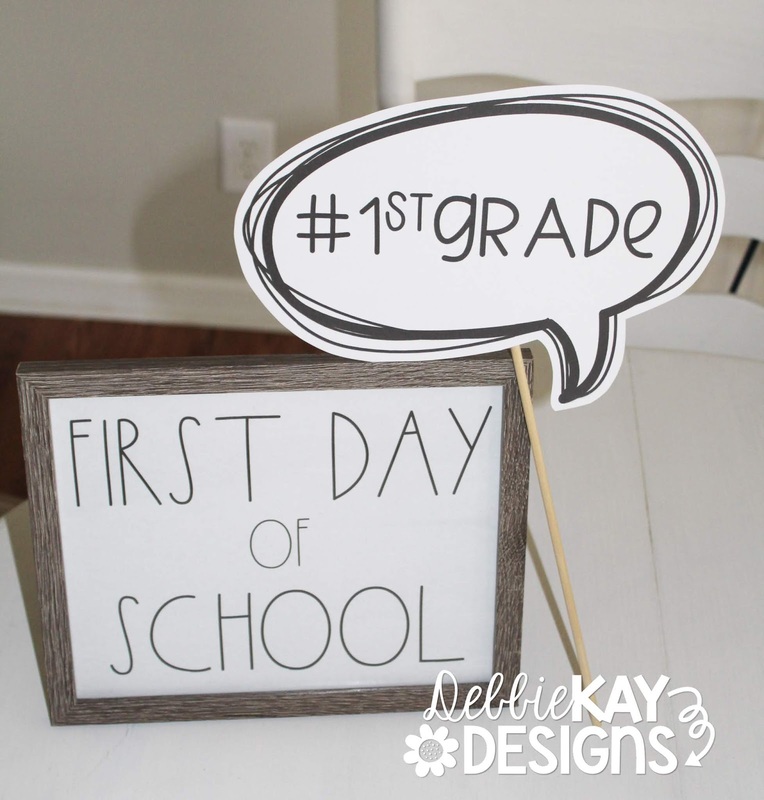 Now you're ready to take those first day photos of your students, your fellow teachers as you celebrate opening your rooms and beginning a new year, or even your own #selfie! 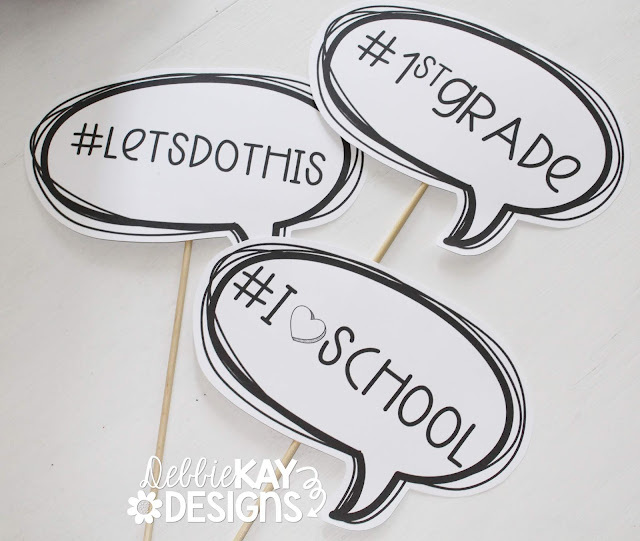 If you only need props for the first day: FIRST DAY PICTURE PROPS includes 28 different speech bubbles to choose from. If you want the BONUS pack that includes everything in the first day pack plus props for the last day of school: LAST DAY PICTURE PROPS includes an additional 13 speech bubbles to choose from. Be sure to check out the preview and product descriptions to get an idea what is included. Have a wonderful first day of school, whenever that may be for you!